It's said that virtually every great wine region in the world has, at its heart, a great river. When the name of the river is the region itself, its significance is clear. The romance of the Douro River is that it winds its way from Spain, where it is the Duero, neatly threading together the Iberian Peninsula as a whole. 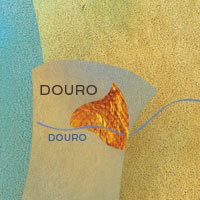 Of course the rather famous town of Porto lies on the same river, and for many of us, Portugal means port, period. However, some of the table wines being produced are very smart, the ubiquitous port grapes of Touriga Naçionale, etc. showing they can be massaged into excellent non-fortified expressions as well. A selection of the port houses produce table wines alongside their fortifieds, while some new kids on the terraced block are table wine specialists alone, and have shown that all the rock breaking and back breaking may well be worth it.